Besides being a lifelong educator, Shelly Arneson is an author and consultant. She taught Special Education for several years in Texas and New Mexico before becoming a guidance counselor in elementary and middle schools. Her last seven years in public schools were spent as a school principal. 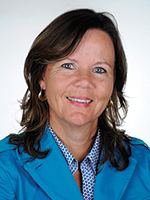 Shelly graduated with her doctorate in Curriculum and Instruction from University of West Florida in August of 2012. Her dissertation was entitled: Character and Competence: A Mixed Methods Study on Teacher Trust in Mid-Sized School District in Northwest Florida. Shelly and her husband, Dave, have three yellow Labs and currently live in Tucson, Arizona. Shelly is a trainer/consultant with the Danielson Group, as well as with Corwin Press. Shelly enjoys traveling and reading, in addition to writing and learning. Building Communication and Trust in Schools: Develop the skills to communicate effectively in schools. Author Dr. Shelly Arneson shares strategies that motivate teachers and school leaders towards success. Based on her research on trust and communication in schools, this informative, multi-media presentation will improve the culture of communication and promote student-centered achievement. Building Trust in Teacher Evaluations: Develop the skills to communicate effectively in schools. Author Dr. Shelly Arneson shares strategies that motivate teachers and school leaders towards success. Based on her research on trust and communication in schools, this informative, multi-media presentation will improve the culture of communication and promote student-centered achievement.